It was ideal to go for Afternoon Tea with my friend who had first introduced me to the special indulgent world of this British ritual many years ago. 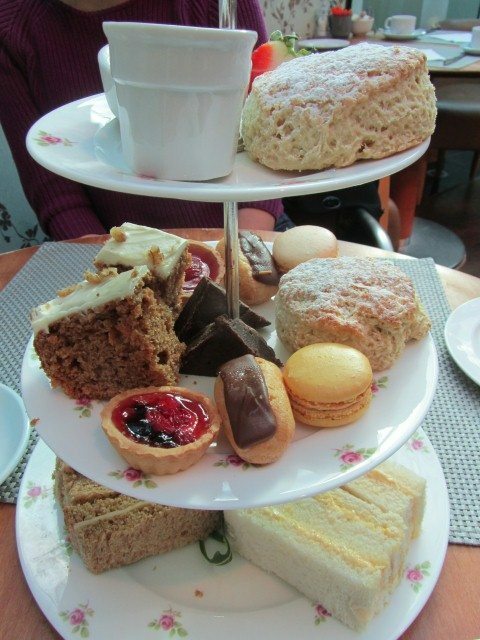 Since that day, Afternoon Tea has been one of my favourite things to do! 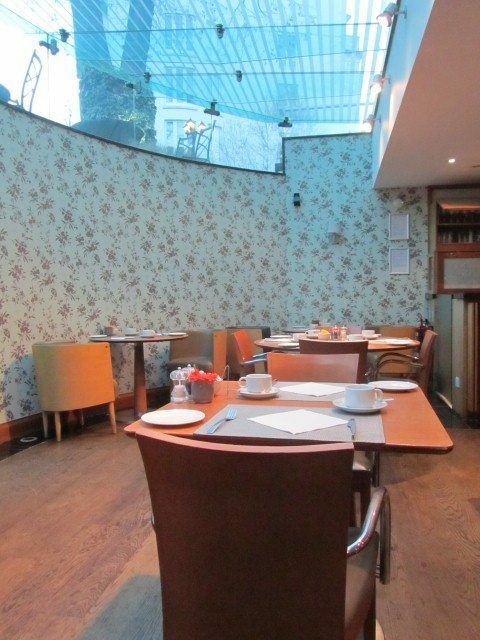 The Afternoon Tea was served in the restaurant of the Colonnade Hotel. Despite it being on the lower level, it had plenty of light flooding in from the glass roof. There was a floral feature wall and orange gerbera decorated the tables. 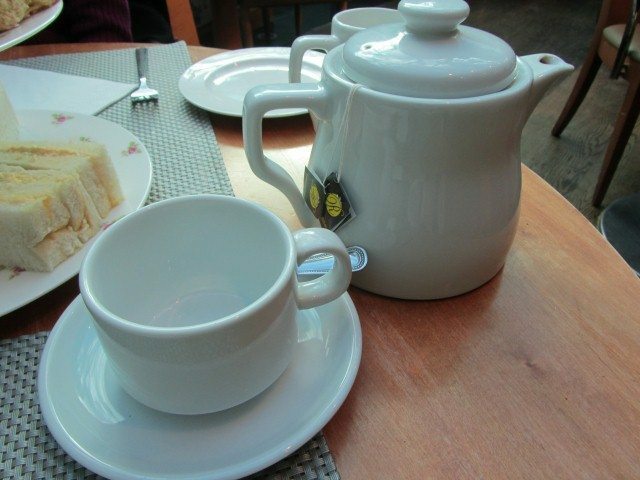 The Darjeeling tea was served by the pot and it was teabags not loose tea. The flavour of the tea was still good though. The floral theme continued when the Afternoon Tea was served on cute pink rose plates. As soon as the three tiered selection was brought out, the cakes had a wonderful freshly baked aroma. 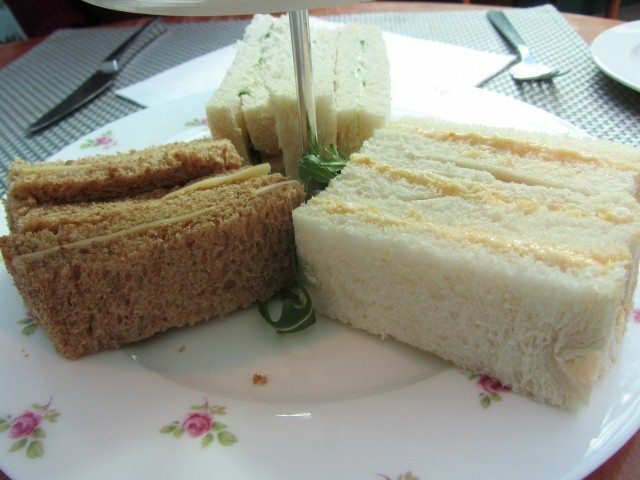 The traditional savoury finger sandwiches were had first. These were egg mayonnaise on white bread; cucumber and cream cheese on white bread; ham, cheese and mustard on brown bread. All of them tasted lovely and the bread and fillings were fresh. The plain scones had a subtle vanilla taste to them. 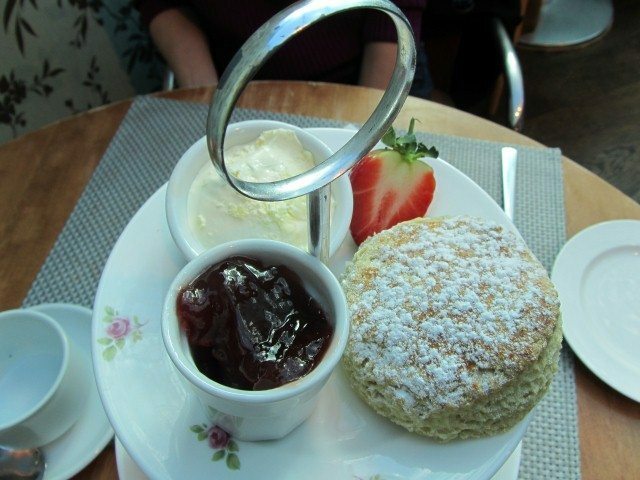 They were served with a good proportion of Cornish clotted cream and homemade strawberry jam. The sweet treats were a great selection of mini eclairs, carrot cake, lemon macarons, chocolate brownies and berry fruit tarts. It’s hard to pick any favourites but the mini eclair filled with fresh cream, the berry tart and the carrot cake did make a memorable mark! The chocolate brownie was rich and would not disappoint fans of chocolate. The macaron had the right balance of the sweet meringue biscuit and sharp lemon filling. The staff were welcoming and friendly. They kept asking throughout our time at The Colonnade if we wanted our teapot refilled. The staff did not rush us at all and hence we felt that we could relax and take our time. The Afternoon Tea at The Colonnade was a real delight! 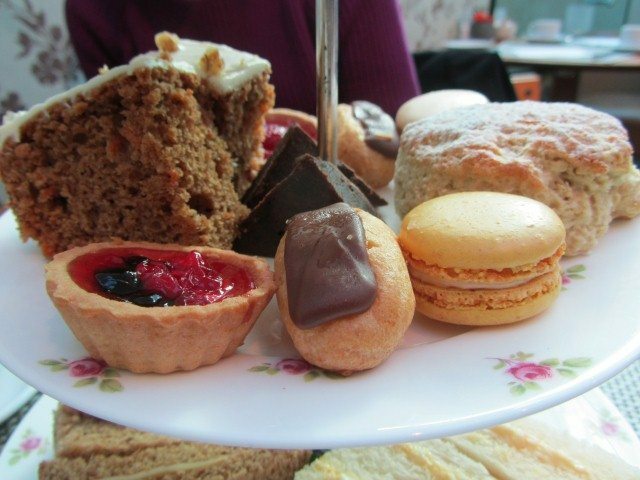 The food was all tasty and fresh and what’s not to love about Afternoon Tea when it is done well!